Medium-pressure single-lip oil seal with integrated seal lip support. A flexible lip design offers better shaft-following ability and reduced lip load over standard seal designs. The dynamic seal lip is made of a premium low-friction Duralast™ material to reduce friction, heat build-up, and wear. 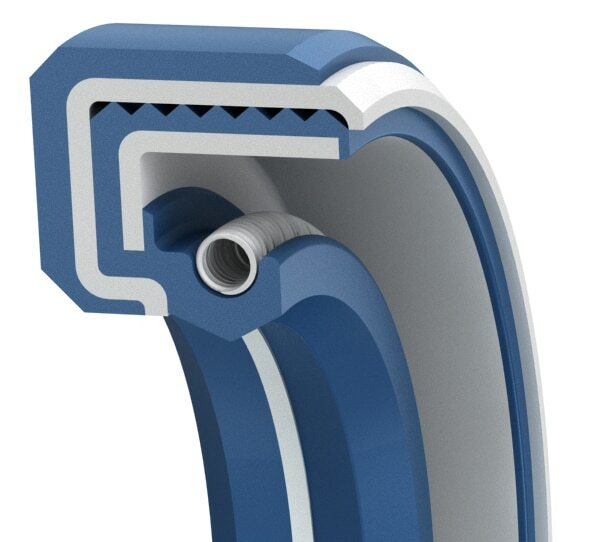 The integrated seal lip support allows the seal to handle higher operating pressure. The low friction Duralast™ materials allow a high surface speed. The rubber-covered OD of the seal creates a tight seal with the housing bore. This seal is able to accommodate press-in fitment in housings with short axial length. For dirty, dusty or polluted environments, our ASHP2 style with additional dust lip should be used. Size Table (Inch)Standard sizes listed below are preferred sizes for new design applications; however, we offer any other seal size as required. Seals are available for any shaft diameter size in 0.001 inch increments, including Functional Range. Standard Range Functional Range Tolerance D= Tolerance B= Tol. +0.010/-0	 min. max. *Standard cross-sections (CS) listed and non-standard sizes can be provided for any shaft size up to 63 inches. Seal retaining plate for pressures above 7 psi recommended. Surface finish: Shaft (A) plunge ground, zero lead, Ra 8-16µin for rubber seal lip, Ra 6-12µin for PTFE seal lip. Housing (D,L) Ra 32-63µin, shaft material hardness 55-65RC. See Technical Info for more specific information. Size Table (Metric)Standard sizes listed below are preferred sizes for new design applications; however, we offer any other seal size as required. Seals are available for any shaft diameter size in 0.01mm increments, including Functional Range. B= Tol. +0.25/-0	 min. max. *Standard cross-sections (CS) listed and non-standard sizes can be provided for any shaft size up to 1600mm. 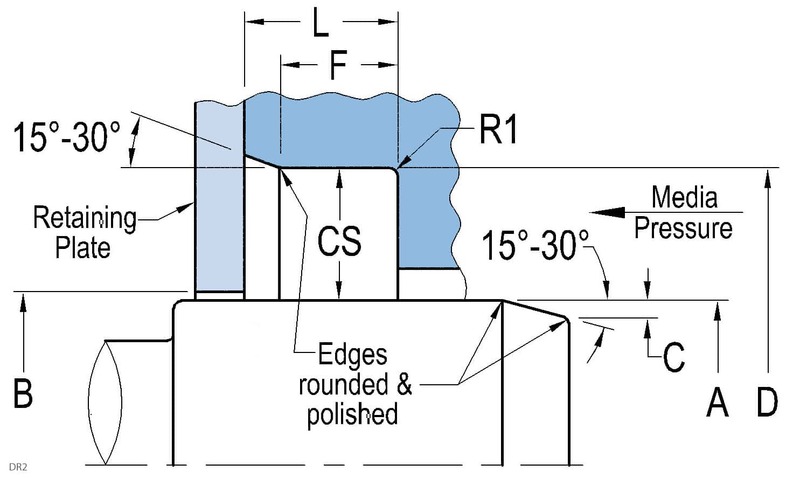 Seal retaining plate for pressures above 0.5bar ecommended. Surface finish: Shaft (A) plunge ground, zero lead, Ra 0.20-0.40µm for rubber, Ra 0.15-0.30µm for PTFE seal lip, ousing (D,L) Ra 0.8-1.6µm. Shaft material hardness min. 55-65RC. See Technical Info for more specific information. Your email will be reviewed within 1 hour and we will respond the same business day.